Sheri has been a member of the West Lakes team since 2004 and active in the dental field for over 35 years. Sheri is married to Joe and has 1 daughter (Anna) and 2 step-daughters (Veronica & Valerie). The family is complete with their dog (Britta) and guinea pig (Newman). 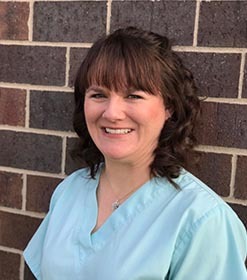 Outside of dentistry Sheri is active in church and enjoys music, singing and spending time with her family. Cindy has been with West Lakes since the first days in 1994. Cindy is a lifelong resident of the Des Moines area, graduating from East High. 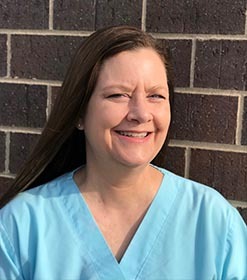 Cindy attended the University of Iowa followed by DMACC where she earned her Dental Hygiene degree. Cindy loves to spend time traveling and boating with her husband Bill. Cindy's household is filled with a family of furry dog children. Anjanete joined the West Lakes team in 2002. Anjanete obtained her Dental Hygiene degree from DMACC. Anjanete is married to Chris, who owns a construction business where Anjanete helps with office work outside of her time with West Lakes. Anjanete and Chris have 4 children (1 daughter, 3 sons), 1 llama, 2 4-H calves and a bunch of chickens. Although the children and barnyard friends take up a majority of her time, Anjanete enjoys church activities, 4-wheeling and taking vacations with and without her children. 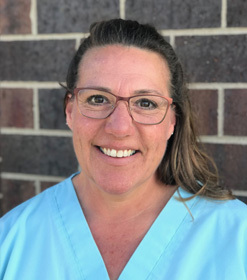 Amy has been with West Lakes since 2016 and has worked in the dental field since 1986. 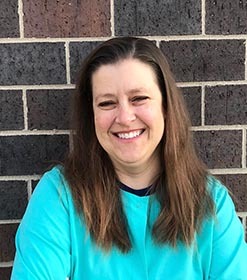 Amy has lived in Adel from over 20 years with her husband Dale. Together they have 4 children. 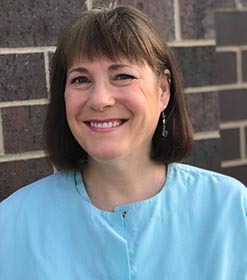 Amy spends her time away from work with her family playing cards, listening to music, going to her childrens' sporting events and playing volleyball. Tracy has been in the dental field in some capacity since 1995, joining West Lakes in 2015. Tracy is a graduate of Northwest Missouri State. Tracy is married to John and has a step daughter Cheyenne, together they live on a small farm where most of their time is dedicated to taking care of their small goat herd, dogs, cats and hamster. Laura has worked in the dental field for 15 years, joining West Lakes in 2018. 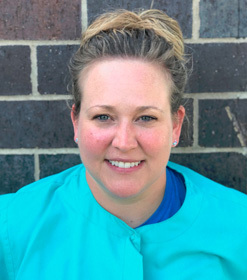 Laura obtained her dental hygiene degree from DMACC. Laura grew up in Norwalk, IA and has lived in Waukee for 10 years. Laura is married to John and has 2 children Blake and Jordan. Away from the office Laura and her family enjoy spending time together watching Iowa football and wrestling.